"I see art and wildlife conservation as a symbiotic relationship. Because art keeps alive the memories of wildlife in a natural setting, it stimulates a longing in the public to know that such scenes will continue to exist in nature." The heartbreaking story of 'Cecil the lion' has caught the world's attention. 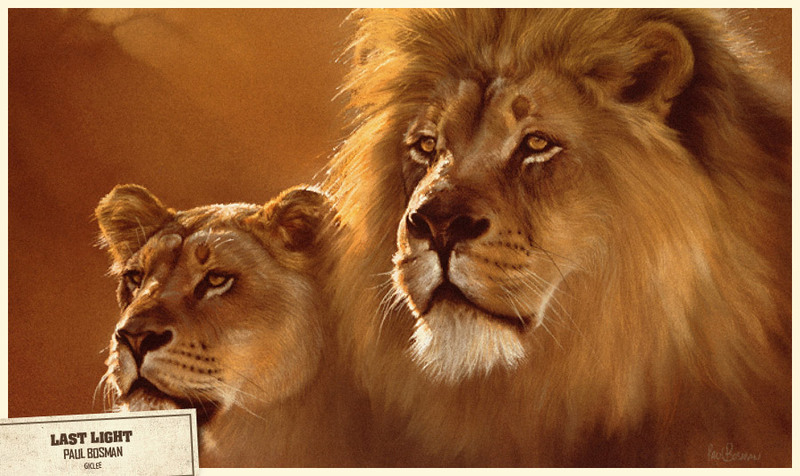 Although Paul's path never crossed with Cecil the lion, he was truly dedicated to the wildlife of southern Africa. Having spent almost a decade in Zimbabwe, this area held a particularly special place in his heart. Paul was a dedicated conservationist. He once said, "I see art and wildlife conservation as a symbiotic relationship. Because art keeps alive the memories of wildlife in a natural setting, it stimulates a longing in the public to know that such scenes will continue to exist in nature." 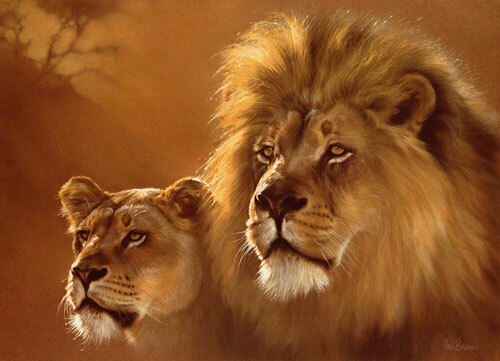 In that spirit, the Bosman family would like to offer a special print to raise money to support WildCRU - the organization that was studying 'Cecil the lion' before he was killed. With this in mind, we'd like to offer a special 14x20" giclee edition of Last Light, with the proceeds going to WildCRU in Cecil's honor. These beautiful 14x20" prints on paper or canvas feature Paul's painting, "Last Light". They are $75, plus $10 shipping within the US. (both canvas and paper prints will be shipped rolled and unframed). 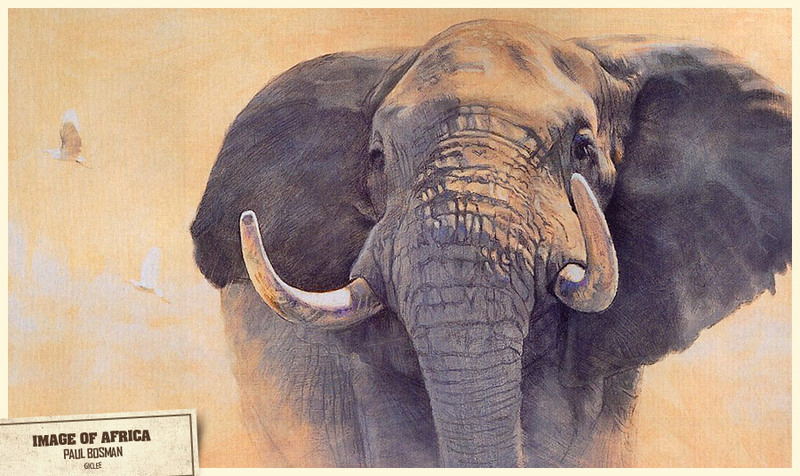 Wildlife artist Paul Bosman was born in South Africa on August 2, 1929 and spent his early years in the Great Karoo, a semi-arid area that bears a striking resemblance to the Sonoran desert of Arizona. His parents moved from the Karoo to Botswana and in this great wilderness he became familiar with the big game species. This was followed in 1969 by building, owning and operating a luxury photographic safari lodge in Zimbabwe where he began to paint the prolific bird and animal life. In 1982 he and his family emigrated to the United States and have become U.S. citizens. "I think inspiration for my work comes from having spent my childhood in the wilderness area of Botswana, surrounded by Nature. As an adult I was fortunate enough to own a safari lodge in what was then Rhodesia, again surrounded by Nature but this time in the midst of one of the most historical areas - Gona-re-Zhou - The Place of the Elephants." 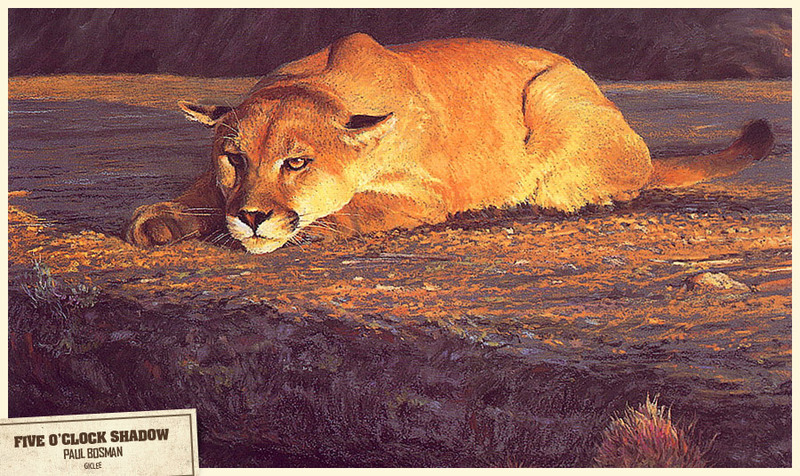 Many of Paul Bosman's African and North American wildlife paintings have been reproduced through a revolutionary new printing process known as Giclée prints. » The magnificent seven and the other great tuskers of the Kruger National Park. 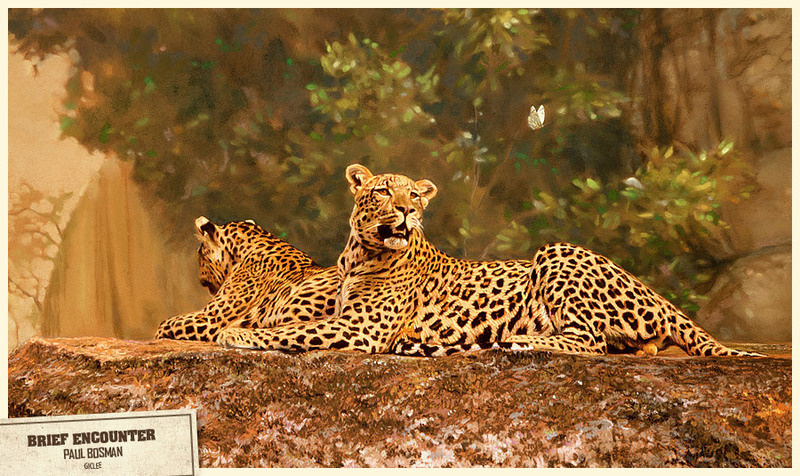 Paul Bosman's sketches capture the spirit of their subject - from the graceful flow of a leaping cheetah to the heartwarming scene of a family of Gambel's quail.